Between 1992 and 1995 a portion of the 17th-century waterfront was revealed. The extensive nature of the remains surprised archaeologists, for none of the structures are mentioned in the early letters from Avalon, and none are shown on the James Yonge map of the 1660s. 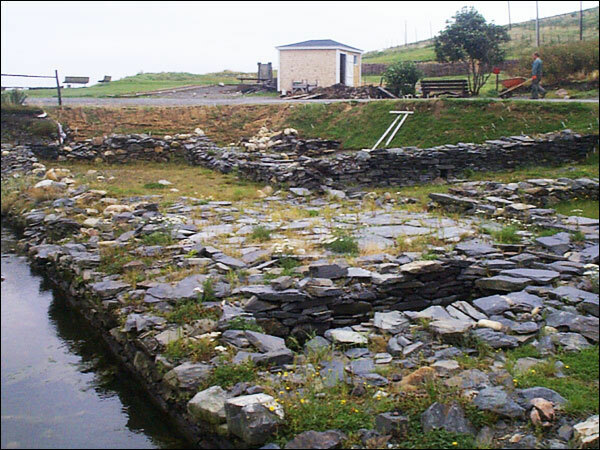 A view of the ruins of the 17th-century waterfront at the Colony of Avalon in Ferryland, NL. 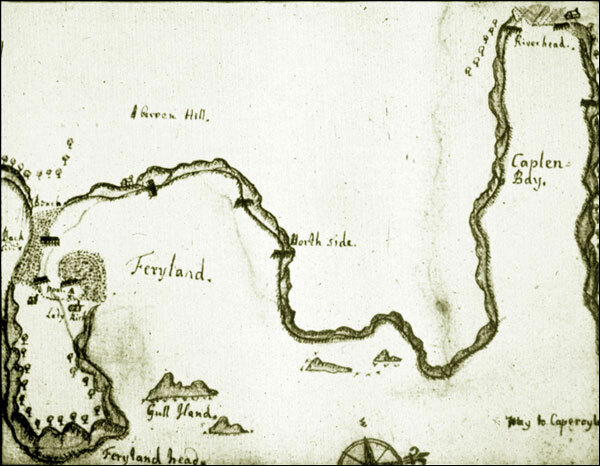 Although Yonge made no reference of such structures on his map, archaeologists have uncovered the remains of the 17th-century waterfront which was once part of the Colony of Avalon. Excavation revealed a portion of a stone sea wall that once bordered parts of the south and east faces of The Pool, or inner harbour. It was built as part of the initial efforts at Avalon, almost certainly under the direction of Captain Wynne, the first governor. 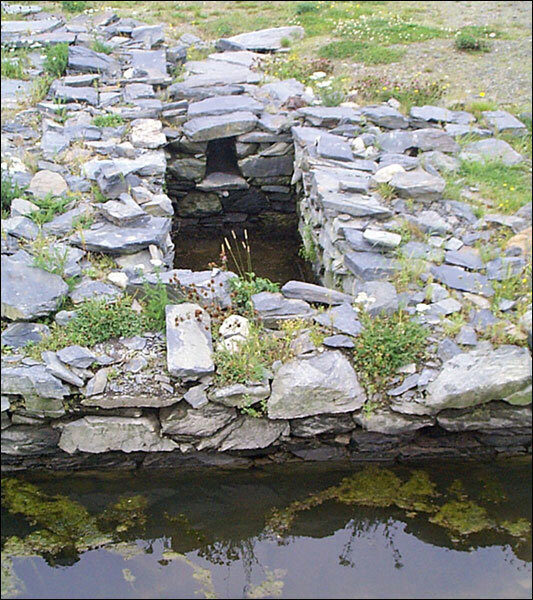 The single-faced stone wall was begun below the high tide mark and extended upward nearly 1.5 metres (5 feet). Earth from the steep hill to the south was placed behind the wall to form level land upon which harbour front buildings could be constructed. 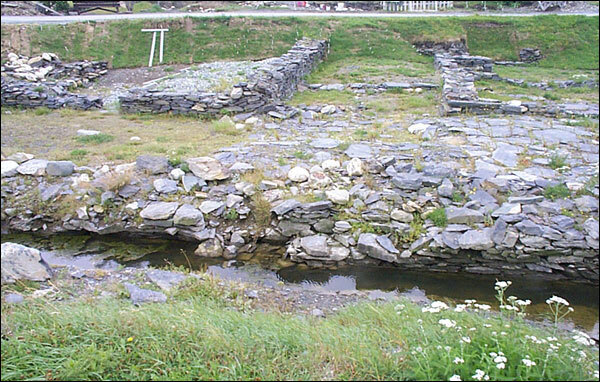 Another view of the ruins of the 17th-century waterfront at the Colony of Avalon in Ferryland, NL. The first of these buildings to be excavated was a storehouse and work place, measuring about 17 metres (56 feet) by 5 metres (16.5 feet) inside, walled up with stone and covered with a slate roof. In the early years an alchemist or goldfiner assayed local rocks for precious metals in the eastern end of the building; fragments of his crucibles and cupels were found in the lowest layer. Later, just before the building was destroyed, perhaps in the Dutch raid of 1673, a cooper made and repaired casks in the western end of the building. Adjacent to the west wall, a stone-lined privy was built as part of the original construction. Drains through the sea wall allowed waste to enter The Pool and the tide to enter and exit the privy twice daily, thereby "flushing" this sanitary facility. Ruins of the stone-lined privy at the Colony of Avalon, constructed ca. 1622. After the destruction of the warehouse, the area was filled to a depth of about a metre, parts of the warehouse walls removed and the stone recycled to construct a two-bay cattle barn, or byre, and an adjacent storage area. The building was roofed with thatch, and when it was burned late in the century, probably during the French raid in 1696, traces of the purlins, rafters, battens and even the thatch itself were left preserved for archaeologists to find almost 300 years later.